And wisely, the article, written by Juliet Bourke, a partner, and Andrea Espedido, a consultant at Human Capital, Deloitte Australia, pointed out that inclusiveness also directly enhances performance. 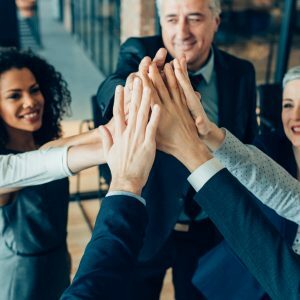 Teams with inclusive leaders are 17 percent more likely to report that they’re high performing, 20 percent more likely to say they make high-quality decisions, and 29 percent more likely to report behaving collaboratively, according to research the writers conducted. Visible commitment: They articulate authentic commitment to diversity, challenge the status quo, hold others accountable, and make diversity and inclusion a personal priority. Humility: They’re modest about capabilities, admit mistakes, and create the space for others to contribute. Awareness of bias: They show awareness of personal blind spots as well as flaws in the system, and work hard to ensure meritocracy. Curiosity about others: They demonstrate an open mind-set and deep curiosity about others, listen without judgment, and seek with empathy to understand those around them. Cultural intelligence: They’re attentive to others’ cultures and adapt as required. Now it’s time for you to reflect a bit here. Are you practicing inclusive leadership? And if not, is this something you’d like to focus on going forward in your career? I’d love to hear your thoughts on this subject! Please drop me a line at mcampanelli@napco.com, and perhaps I can write a follow-up article based on your feedback about this important topic. I look forward to hearing from you!